Getting down and getting dirty will be mandatory at the Waihi Scouts Mudslide Day on Saturday March 2. Big kids – and little kids can muddy the waters, indulge in mudslinging and take a mud bath between 9.30 am and 3 pm, behind the gun club on state highway 2. A trio of slippery slides with have all ages as happy as – mudlarks! Walk the rope bridge, complete the obstacle course, make like a scout and sizzle a sausage, taste test the food, or take your own picnic. Wear old clothes and shoes and changing tents are provided for afterwards. It’s just $5 to wallow in the mud and there’s plenty of free parking too. 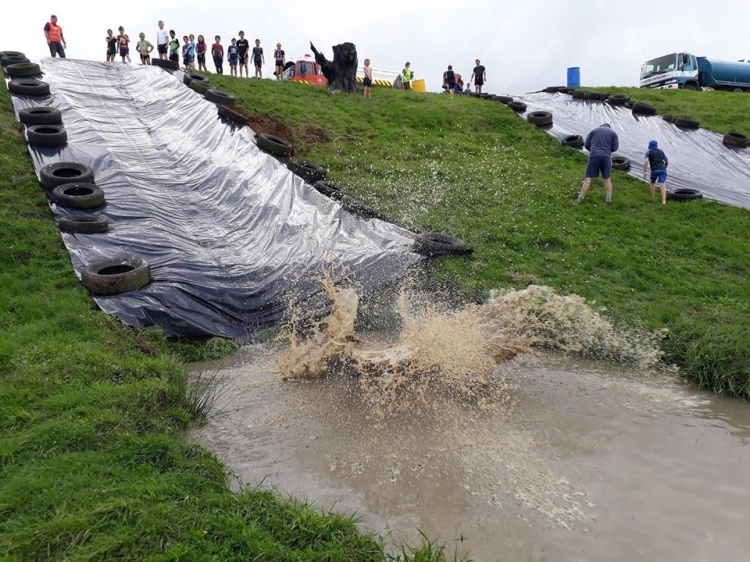 Look for the signs about 1 km south of the Waihi Beach turnoff on State Highway 2 to get down (the slides) and get dirty between 9.30 and 3 on Saturday, March the 2nd at the Waihi Scouts annual MudSlide fundraiser.